Upon the recommendation of the Representatives Assembly and the invitation of H.E. Archbishop Moushegh Mardirossian, Prelate, and the Executive Council, last year a committee was launched within the Western Prelacy to focus on the revitalization and preservation of the Armenian language in the United States of America. The committee held its first meeting on May 1, 2013. 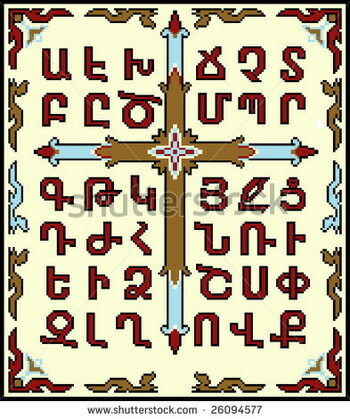 During subsequent meetings, the committee concurred that the use of the Armenian language, both oral and written, is in decline in Armenian communities of the Western United States. Maintaining that language vitality is essential to the sustainability of Armenian culture and identity in a Diasporic context, the committee embarked on strategic planning sessions to propose a plan for intervention and revitalization. Accordingly, the committee began to evaluate the root causes of this problem based on available research results and statistics, and to create a plan of action with a clear vision, mission, and strategic goals for spearheading a decentralized language revitalization program. Partnerships with schools, churches, organizations, political parties, media and interested individuals will be central to the program’s success. The Prelate and Executive Council are pleased to announce that the committee will continue its mission as a standing body under the auspices of the Western Prelacy, as the “Armenian Language Revitalization Committee”. The committee is comprised of the following members: Dr. Haroutiun Armenian, Dr. Hagop Gulludjian, Mr. Sarkis Mahserejian, Mr. Jora Manoucherian, Mr. Vazken Madenlian, Dr. Talar Chahinian-Mahroukian, Dr. Vahram Shemmassian, Dr. Hasmig Baran, and Dr. Rubina Peroomian. We are confident that this committee will expertly carry out this endeavor and in collaboration with community organizations, educational institutions, and media members will expand this undertaking to a pan-Armenian cause.